SUMMER WALKABOUT: Click here for a 109-slide photo album of points of interest in Port Credit. Last updated August 27, 2010. PORT CREDIT LOCAL AREA PLAN - STATUTORY PUBLIC MEETING: Monday, December 2 @ 7 p.m. at CITY HALL, Planning and Development Committee of Council. TOPCA will be making a presentation. The Draft of the new Port Credit Local Area Plan is under review. 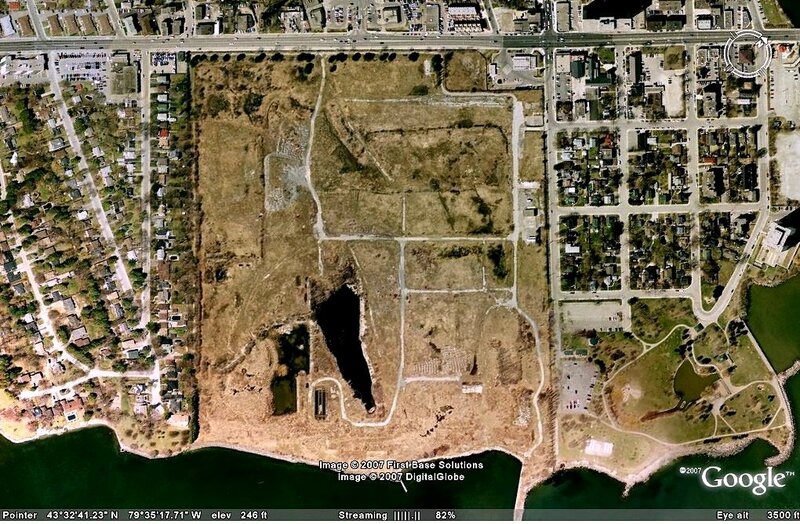 The policies are intended to protect and enhance Port Credit as an urban waterfront village. Now, Planning Staff have prepared a ► Report (87p PDF) which reviews the issues and recommends proposed modifications to the Draft PCLAP where appropriate. ► Click cover image to view the Draft PC Local Area Plan WEBPAGE with the online document and associated studies. NOTE: The current district policies are found in: Port Credit District Policies of Mississauga Plan (Section 4.27), November 2012. Land Use Map and legend. PORT CREDIT LOCAL AREA PLAN - STATUTORY PUBLIC MEETING: Monday, September 17 @ 7 p.m. at CITY HALL, Planning and Development Committee of Council. The Draft of the new Port Credit Local Area Plan is under review. 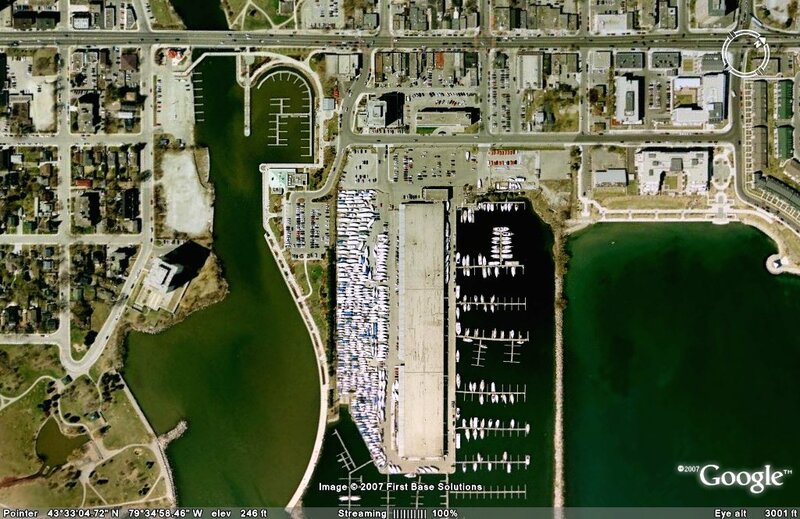 The policies are intended to protect and enhance Port Credit as an urban waterfront village. TOPCA is preparing a response to the Draft and invites members to assist. ► Click image (left) for PUBLIC MEETING NOTICE. ► Click to view the Draft PC Local Area Plan WEBPAGE with the online document and associated studies. 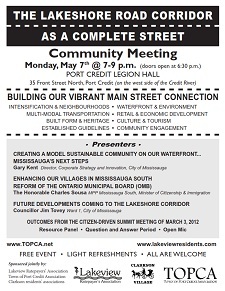 Monday, May 7 @ 7-9 p.m. at the PORT CREDIT LEGION HALL, 35 Front Street North (map). ► Click image for full-size FLYER / AGENDA. Ward 2 Councillor Pat Mullin will now be attending / speaking. ► See the TOPCA Meetings webpage for more details. PORT CREDIT LOCAL AREA PLAN - PUBLIC REVIEW: Wed. April 25, 2012 at CLARKE HALL, 161 Lakeshore Road West (map). 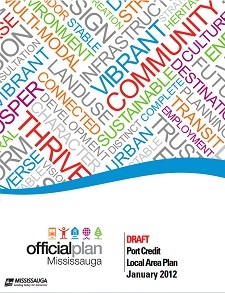 A draft of the new Port Credit Local Area Plan will be delivered to the community for review. City planning staff will be on hand to explain the draft plan. The policies included in the plan are intended to protect and enhance Port Credit as an urban waterfront village. Staff reviewed the Draft Plan with the Port Credit Local Advisory Panel on March 28, 2012. Click for COMMUNITY MEETING NOTICE. ► City news release (April 17, 2012): Do You Love Port Credit? OLD PORT CREDIT VILLAGE HERITAGE DISTRICT: A Neighbourhood meeting took place on April 5, 2012 to discuss strengthening the Guidelines for the Old Port Credit Village Heritage Conservation District. HOW COULD THIS HAPPEN? The Planning Dept. presented information at the Neighbourhood Meeting on April 3, 2012 about the infill development on 90 Cumberland Drive in the Hiawatha neighbourhood and how the local zoning could be strengthened. The City's Planning Dept. has created the Port Credit Local Advisory Panel, which includes reps from all the local stakeholder groups (including TOPCA). Click here for a list of the members of the Panel. 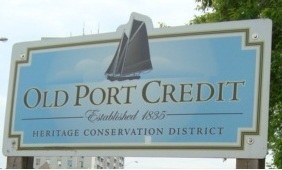 The Advisory Panel will provide input into the planning policies that are being prepared for Port Credit with reference to the Directions Report approved by Council in Nov. 2008. 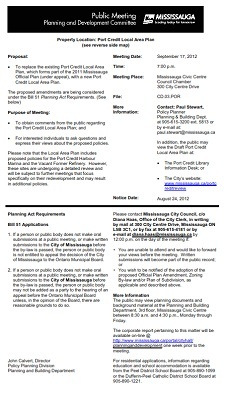 Click here for background on the Port Credit District Policies Review and the Directions Report. Planning Dept. staff developed Terms of Reference for the establishment of the Local Advisory Panel and have written a Corporate Report that was approved by Council in Feb. 2009. NOTE: There will be additional opportunities for public input on proposed Port Credit planning policies in addition to the Advisory Panel. Click here to view the Advertisement. Over thirty (30) applications were received by the March 27, 2009 deadline. Click here for the Application Form. Click here for the City's featured article on the Local Advisory Panel concept, including access to the Minutes of each meeting. If you have any questions please feel free to contact Paul Stewart, Policy Planner for Port Credit at paul.stewart@mississauga.ca or call at 905-615-3200 ext. 5813. This public process has been led by the consulting firm Brook McIlroy Inc./Pace Architects, which also led the Waterfront Parks Strategy. To view the citizens’ White Paper on the District Policies Review as submitted to the City by VIVA Port Credit (TOPCA is a member group), the PowerPoint presentation A Vision for Port Credit based on the White Paper, and media reports, click here. 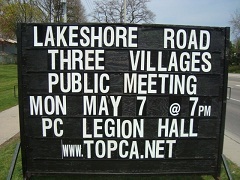 TOPCA sponsored a community meeting on June 4, 2008 to present: A Vision for Port Credit, which has emerged from all our collective ideas. Click here for details. The Directions Report, based on all the community input over the past year and the consultants' recommendations regarding the Port Credit District Policies Review was presented and discussed at a public meeting of Council's Planning and Development Committee on Nov. 17, 2008. This report draws on the extensive citizen input given over the last year, and affirms the Port Credit District Vision: 'Evolving the Urban Village'. Click here to read the Nov. 18 Mississauga News article: 'Report on future is prelude of things to come'. NOTE: An electronic version of the Directions Report is available on the City's webpage -- CHECK IT OUT by scrolling to the bottom of the page and clicking on the report components. TOPCA sponsored a public meeting on Nov. 26, 2008: Developing Our 100 Acres: An Urban Design Panel on Port Credit, which featured a variety of urban design practitioners. Click here for details. The current district policies are found in: Port Credit District Policies of Mississauga Plan (Section 4.27), May 2011. ADVISORY PANEL: The City's Planning Dept. has created the Port Credit Local Advisory Panel, which includes reps from all the local stakeholder groups (including TOPCA). This will enhance the already strong public engagement process as the new Port Credit District Policies are prepared by Planning staff in 2009/10. The first (organizational) meeting of the Panel was May 25, 2009. Click here for background information about the Panel. Port Credit District Policies Review: contact Paul Stewart, Policy Planner for Port Credit at paul.stewart@mississauga.ca or call at 905-615-3200 ext. 5813.